Cancer Man Breakup – What Happens If Things End? Are you about to break up with your Cancer guy? Are you feeling as though he may break up with you? Perhaps you’re just curious what it may be like to experience a break up with a Cancer man. Keep reading for some useful information regarding this sensitive guy. If a Cancer man is planning on ending things with his partner; he may be come distant, quiet, he may spend more time away, or he may have excuses as to why he cannot stick around. He isn’t good at breaking up as he feels things so deeply. Even though he knows it may be the right thing to do; he doesn’t want to hurt anyone. This makes him procrastinate actually going through with it. It’s also very likely that if you try approach him or ask him what is wrong; he may not want to answer you. He feels if he tells the truth; it’ll hurt you and so he’d rather just keep blowing the matter off. In some way; he perhaps hopes things will miraculously change so that he won’t have to actually go through with a breakup. In some cases; he may be so entirely distant that he’s hoping that his partner will be the one to break it off. Cancer man never wants to appear as a bad guy and sometimes it’s easier to just be really distant so that his partner decides enough is enough. If she calls it off then he’s not the bad guy and his heart won’t break by breaking hers. I know it sounds kind of twisted but this is how totally emotionally tied a Cancer man is. Avoiding hurting anyone is his goal. Even if he lies or cheats; he won’t want to hurt whoever is involved. It’s guilt for selfish reasons. 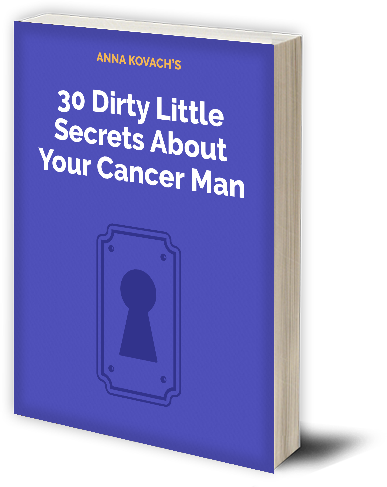 If you decide that the Cancer man isn’t for you; you may think about calling it quits. He will likely sense this and start to sulk, pout, or pull back into his crabby shell. 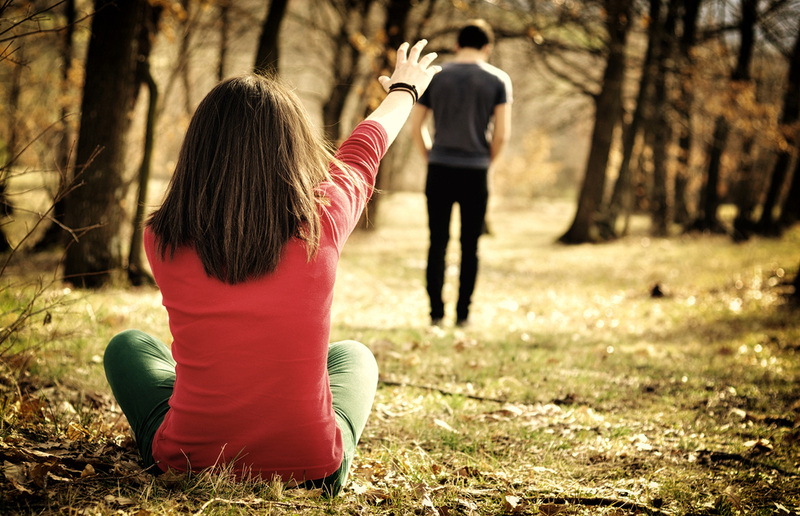 Depending on how close he was to you; he may emotionally try to lash out or he may try to beg you to stay. Either way; you’re not going to feel good about breaking a Cancer man’s heart. Of course if he hasn’t been particularly good to you; then it may be a bit easier. Naturally if he’s betrayed your trust by cheating or something else equal to; you’ll probably have no trouble at all telling him you’re done. When you sit him down to talk to him about this if he’s a good guy that it just didn’t work with; he’ll most definitely look like a sad puppy dog. It’s very difficult but try to remember the reasons you want out. Perhaps if you can do it quickly and not give him too much time to ponder or respond; you can get out of there without too much drama. They can be drama queens in emotional situations such as these. He may try to cry, plead, beg, or make you feel bad for having broken him. Put your shield up and do what you need to do. Don’t let the manipulation work and keep you where you know you don’t want to be. Since he feels things deeply; if he ever senses dishonesty; he will not want to keep it going. If you lie, keep things from him, or aren’t upfront with how you feel; he may second guess why he’s with you. If you betray him by talking to another guy romantically, cheat on him physically, or even give another ma your attention; he’ll be done. Cancer man needs security in his relationship. When he can sense that there isn’t any security or that it has been breached; he’ll be done with the relationship/marriage. It’s incredibly difficult to get a Cancer man to ever trust once a betrayal has occurred. Once he goes into his shell; he tends to want to stay there until someone else comes along that gives him the security he seeks. It may take him a good long while to heal from his wounds. Then again; he may move on very quickly if the right person should emerge at the right time. Getting back together with a Cancer man is a very difficult task to take on if you broke it off but didn’t mean it. Trust has been broken therefore his security was thwarted and he may or may not ever get over that. I’m not saying it’s impossible but it would be very difficult. He may seem as though he’s alright but in reality; he will carry that scar. Cancer man doesn’t survive anyone who is critical or mean toward him either. He’s a very sensitive guy with a big heart. When someone is mean to him or constantly critiques him; he’ll not stay with that person. He struggles with his own inner self enough as it is. The last thing he wants is a partner who cannot stop picking on him or giving him grief. Also a woman that doesn’t get along with his family may be a deal breaker as well. As I mentioned; it may be very hard to get a Cancer man back. If trust was broken; he’ll have a very difficult time ever trusting you again. He can but it will take some proving from you that you can be trusted. He may also bring it up every single time you argue which can get old for you. It will take a great deal of time, patience, and love. Do everything you can to show him how much you love him. Words are good but taking actions to prove to him how you feel will allow him to actually FEEL it. Take care of him, be affectionate, and do whatever you can to show the Cancer man you care. Click here to find out more about Cancer guy. Next post:4 Easy Ways on How to Please a Cancer Man – What Does He Want?